A very reliable driver in all wind conditions. An excellent power disc for backhand and sidearm. The Banshee is my go to disc when it gets windy. Also my number one choice for longer side arm throws. Excellent side arm roller disc as well. This is THE disc for low ceiling back hand shots as well. 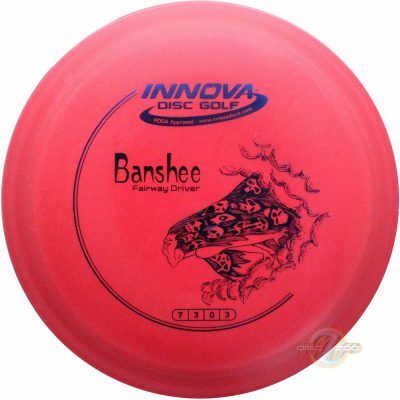 I don't throw too many sidearm shots in a round but when I need to, I'll use the Banshee. It's really versatile, using my regular backhand, and it is my "go to" disc for spike hyzers and skip landings when needed. I like the small rim and it's very forgiving and consistent in the wind.